MOODY AIR FORCE BASE, Ga. — They don’t work in hospitals, wear lab coats or fix broken bones but they can heal hidden wounds. Some people may refer to them as pastors, while others consider them counselors. But these spiritual doctors are known to the military as chaplains. Chaplains work 24/7 to help members cope in life through counseling and carry the responsibility of their welfare, morale and spiritual fitness. Although church is their workplace, much of what chaplains do fall outside the realm of religion. Privileged communication, under Military Rules of Evidence 503, means that anything you speak to a chaplain or chaplain assistant about in a counseling setting is confidential. 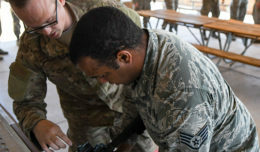 Chaplains counsel during the day, but also work around the clock in order to help Airmen connect with their spirituality. Chaplains rotate being on call on a weekly basis and during the day work side-by-side with their assistants. Chaplains and chaplain assistants work together as a unit, also known as a Religious Support Team to accommodate the needs of the base. 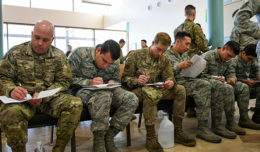 Each RST finds the time to visit their assigned group on base, such as the Medical Group, the Mission Support Group, the Maintenance Group and the Fighter and Rescue Group. A chaplain’s mobility goes beyond their home base and extends into all parts of the world, even deployed locations, in order to support Airmen everywhere. Service members may seek out chaplains frequently in a deployed environment, but chaplains have been one of the military’s resources for over two centuries. 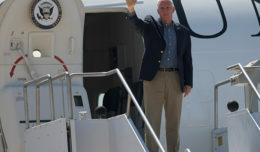 All of this week's top headlines to your email every Friday. News and ad copy deadline is noon on the Tuesday prior to publication. The publisher assumes no responsibility for error in ads other than space used. The appearance of advertising in this publication, including inserts or supplements, does not constitute endorsement by the Department of Defense, U.S. Air Force, U.S. Army, U.S. Navy, U.S. Marine Corps, or Aerotech News and Review, Inc., of the products or services advertised. Copyright © 1986 - 2019 Aerotech News & Review Sites All Rights Reserved. Designed by Aerotech News & Review.